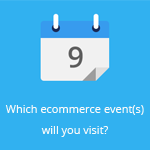 May 27, 2014 by Ecommerce News. About Marketplaces with tags France. 3164 views. Spartoo, one of the leaders in selling footwear and fashion in Europe, has launched its own marketplace. It expands it range with over 1,000 brands and 70,000 models. By intergrating the marketplace of Spartoo, vendor partners can benefit from the customer service and the 14 million visitors per month Spartoo has in 20 European countries. “Today, almost a third of online retailers sell via marketplaces”, Boris Saragaglia, CEO of Spartoo, said according to Melty Fashion. “And the sales in these markets are constantly improving. It is almost natural that we wanted to be present on this promising niche. This new development allows us to offer even more choice to our customers and thus providing them satifasction.” Spartoo is clearly not the only pure player who has opened a marketplace. Two years ago, Zalando did the same in order to expand its range and improve the availability of its products. And according to sources from LSA, Spartoo is now also considering opening physical retail stores. The concept would be to offer a wide range of shoes (for men, women, children and sports) with more than a thousand different models. With the physical stores, Spartoo wants to react more to the customers’ expectations. It will change its offerings based on data it gathers via its online platform. In 2013, Spartoo had a turnover of 130 million euros. The French retailer has 200 people on the payroll and was called one of the ten fastest growing companies in Europe in 2010.